I can't wait to go to Sheraton Waikiki Hotel after my college graduation. I have always wanted to visit Hawaii. This registry allows me to really think about the activities I want to do while there. This registry will also help all of my friends and family figure out what to get me for a graduation present! I love you all! 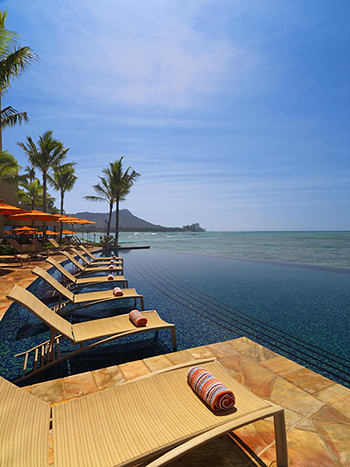 A Hawaiian getaway at Sheraton Waikiki will be an unforgettable experience! This soothing sanctuary boasts tropical charms and exotic luxuries, sumptuous accommodations, tantalizing cuisine, an array of thrilling activities and a place of peace and calm in the spa. Exploring the enchantment and mesmerizing beauty of the islands on this Hawaiian holiday will be a wonderful gift! With your lovely gift, the trip of a lifetime will be experienced at Sheraton Waikiki! Here, the true essence of the islands will be discovered with lush natural beauty, pristine beaches, sparkling waters and the welcoming spirit of "Aloha". Sheraton Waikiki boasts enchanting accommodations, world-class restaurants, thrilling activities and a world of tranquil bliss in the spa. A stay at Sheraton Waikiki will be an exceptional island getaway that is just as alluring as it is mesmerizing! Thanks to your wonderful gift, it will be time to indulge in the sweet flavors of paradise! At Sheraton Waikiki, enjoy Hawaiian style snacks from the comfort of the room! At Sheraton Waikiki, take delight in the gift basket amenity! An array of gift basket varieties are available thanks to your thoughtful gift. Enjoy delightful treats and irresistible sweets from the comfort of the room! 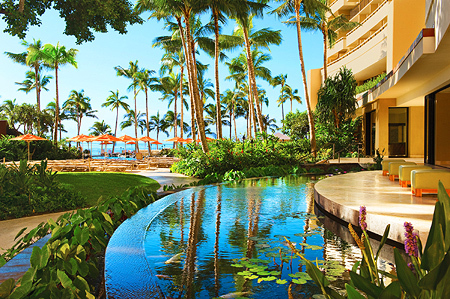 Enjoy the lush surroundings of paradise on this tropical escape at Sheraton Waikiki! A fragrant tropical flower arrangement will be delivered to the room for extra indulgence and bliss on this island getaway! With your wonderful gift, it will be time to take delight in a bottle of champagne at Sheraton Waikiki! While admiring the stunning views of Waikiki from the lanai, a bottle of champagne will be delivered to the room. Indulge in the Exfoliation spa treat at Spa Khakara! Receive a rich botanical scalp massage and a nourishing hair mask, followed by a relaxing foot massage. Afterwards, take delight in a refreshing body polish that will leave the skin silky smooth and glowing radiantly! Take delight in the Island Magic body treatment! In the peaceful settings of Spa Khakara, this soothing journey will begin with a hydrating facial and a relaxing massage for the neck, arms and hands. Afterwards, luxuriate in a foot massage and scalp massage that will leave the mind, body, free spirit and soul renewed and energized! Experience the luscious delight of the islands with the Khakara Tropical Facial! First, receive a customized exfoliation treatment followed by a mask and an application of nourishing moisturizer. Then receive a neck, shoulder, arm, hand, foot and scalp massage for the ultimate indulgence! Luxuriate in the tranquil surroundings of Spa Khakara at Sheraton Waikiki! Receive a cleansing glycolic peel to remove dead skin cells while enjoying a neck, shoulder, arm, hand and foot massage. This lavish facial treat will end with a customized serum and a hydration treatment that will leave the skin glowing radiantly! At Sheraton Waikiki, discover a Hawaiian inspired massage! In the soothing settings of Spa Khakara, receive a cleansing Hawaiian sea salt foot polish infused with kukui and coconut oils, followed by a lavish massage using rhythmic touch and soothing massage techniques. The Lomi Lomi Massage will awaken the senses and calm the mind, body, free spirit and soul! In the serene settings of Spa Khakara, discover a world of tropical bliss! At Sheraton Waikiki, receive an invigorating exfoliation massage using Hawaiian sea salt infused with kukui and coconut oils to remove dead skin cells and soften the skin. The Tropical Crush is a pure delight for the mind, body and spirit! Indulge in the Bliss Spa Package at Sheraton Waikiki! At Spa Khakara, receive a lavish Lomi Lomi massage and indulge in the Khakara Tropical Facial. This tropical delight will leave the body relaxed and the skin silky smooth! Sheraton Waikiki offers the MaiTa'i Catamaran experience! Board the MaiTa'i Catamaran and cruise through the sparkling waters of the Pacific Ocean while witnessing beautiful views of Oahu's lush coast. Before heading back, relax and indulge in refreshing tropical concoctions on the deck! At Sheraton Waikiki, embark on a journey through history! 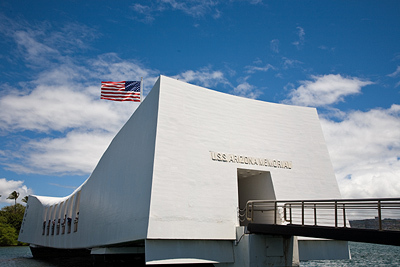 Visit the Arizona Memorial and the USS Battleship Missouri where the peace treaty was signed by the U.S. and Japan in 1945. After that, take part in a drive through the Punchbowl Crater and go to downtown Honolulu to see the state capitol and governor's mansion, Iolani Palace, the statue of King Kamehameha and Kawaiahao Church! In the Polynesian Cultural Center, discover the traditions, the history and the hospitality of the Polynesian culture! Enjoy presentations at seven different villages, take part in a canoe ride and a tram tour, and watch the Pageant of the Long Canoes. Before the day comes to an end, watch an IMAX film and witness the spectacular night show! Thanks to your thoughtful gift, it will be time to enjoy the lavish surroundings of the Partial Ocean View Room! Beautifully decorated with a palette of warm creams and fresh whites, this soothing sanctuary boasts fine furnishings, tropical hardwood accents and Hawaiian design. This room offers a king size bed with luscious linen bedding, luxurious bathroom amenities and a lanai with partial views of the sparkling Pacific Ocean! Take delight in the charming Ocean View Room! This room is designed with Hawaiian decor, tropical hardwoods, fine furnishings and a palette of fresh whites and vibrant colors. Take comfort in the king size bed with luscious bedding, indulge in the bathroom amenities and admire beautiful views of Waikiki and the alluring Pacific Ocean from the lanai! Indulge in the rich surroundings of the Ocean Front Room at Sheraton Waikiki! This tropical retreat is beautifully designed with a palette of powder whites, warm creams and brilliant colors that enhance the exotic hardwood accents, Hawaiian decor and the fine furnishings. The Ocean Front Room offers a king size bed with luxurious linens, lavish bathroom amenities and breathtaking views of Waikiki and the shimmering Pacific Ocean! Discover the laid back charms of paradise at Sheraton Waikiki! The Deluxe Ocean Front Room is decorated with tropical hardwood accents, fine furnishings, Hawaiian design and a rich palette of whites, creams and colors. This Hawaiian hideaway boasts a king size bed with luscious bedding, luxurious bathroom amenities and a private lanai with enchanting views of Diamond Head, the Pacific Ocean and Waikiki! At Sheraton Waikiki, discover pure luxury in the Large Luxury Ocean Room! Beautifully designed with Hawaiian decor, exotic hardwood accents and a palette of rich creams, fresh whites and brilliant colors, discover pure indulgence. This room promises fine furnishings in the sitting area, a king size bed with luscious linen bedding, lavish bathroom amenities and a private spacious lanai with tropical views of majestic Diamond Head, the sparkling Pacific Ocean and Waikiki! In the tranquil settings of the Suite, indulge in luxury. The suite is beautifully decorated with a fresh palette of lavish whites, rich creams and warm colors that enhance the Hawaiian decor, the dark exotic hardwoods and the fine furnishings in the living, dining and kitchen areas. This tropical retreat boasts a king size bed with luscious linen bedding, delightful bathroom amenities and a spacious private lanai with majestic views of Diamond Head, the Pacific Ocean and Waikiki! Sheraton Waikiki presents Kai Market, where traditional Hawaiian cuisine and other ethnic cuisines of the islands are prepared with locally-grown products. Dine in a charming setting with magnificent views of the resort's sparkling blue infinity edged pool and enjoy tantalizing Hawaiian dishes. The executive chef tempts the palate with fresh seafood prepared with enticing island spices and herbs, and side dishes of fresh island fruits and more! 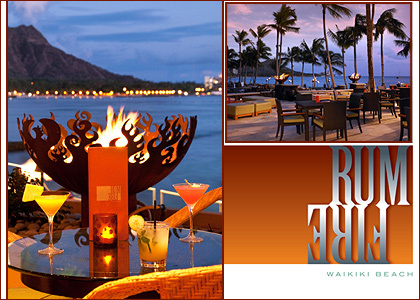 Dine in the enchanting, oceanfront settings of RumFire at Sheraton Waikiki! This restaurant offers breathtaking views of majestic Diamond Head and is drenched in the flickering glow of fire pits for the ultimate dining indulgence. Experience sumptuous contemporary cuisine, live entertainment, a wide selection of drinks and vintage rum at RumFire! Yoshiya promises a wide array of the finest Japanese specialties in a relaxed, charming atmosphere! Serving up traditional Japanese for breakfast, lunch and dinner, Yoshiya offers fresh sushi, surf and turf, combination platters and more, accompanied by a wide selection of refreshing beverages and drinks. 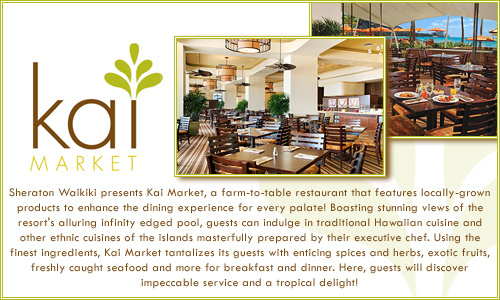 Discover an indulgent dining experience at Sheraton Waikiki!